When pretty, smart Sara Long is found bludgeoned to death, it's easy to blame the man with the bat. But Georgia Davis - former cop and newly-minted PI - is hired to look into the incident at the behest of the accused's sister, and what she finds hints at a much different, much darker answer. It seems the privileged, preppy schoolgirls on Chicago's North Shore have learned just how much their innocence is worth to hot-under-the-collar businessmen. But while these girls can pay for Prada price tags, they don't realize that their new business venture may end up costing them more than they can afford. … in affluent, upper-class suburbia! Yeah, “Easy Innocence” gets a bit gritty … and disturbing. Talk about innocence — I must be a complete ingenue! I had no idea that some of this stuff was going on … I mean, really — voluntary, organized, upper-class teenage prostitution and pandering? Golly … when I think about my teen years … well, let us just say that things must have changed since then. However, I have listened to enough of Ms Hellmann’s audiobooks now to know that she ALWAYS knows whereof she speaks. So I am taking her word for it. The plot of “Easy Innocence” goes well beyond the teen vice angle, though. Newly-minted P.I. Georgia Davis — recently dismissed from the Chicago Police Department for thinking outside the box — is investigating an — allegedly — “Open-and-Shut” murder case, when she stumbles upon some dodgy real-estate shenanigans that lead her into more dodgy political shenanigans that … guess what? … come around full-circle, tying right back into her murder investigation. As always, Ms Hellmann writes well, creating believable characters and plot complexities that will keep you riveted. Narrator Beth Richmond has a perfectly gorgeous voice, and acting chops, to boot! She has the repertoire of voices, accents, and timing to bring this audiobook to life. I recommend “Easy Innocence” to all mystery/thriller enthusiasts. 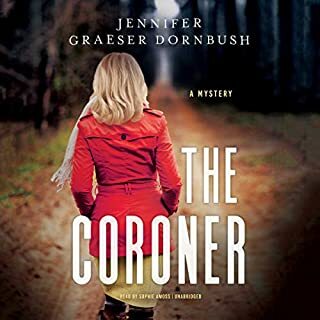 This is a great book; this is the first book in the Georgia Davis PI series written by Libby Fischer Hellmann and narrated by Beth Richmond. When pretty, smart Sara Long is found bludgeoned to death, it's easy to blame the man with the bat. But Georgia Davis - former cop and newly-minted PI - is hired to look into the incident at the behest of the accused's sister, and what she finds hints at a much different, much darker answer. The narrator Beth Richmond did a great job with this book. She did a great job with the different voices of each character in this book. It was very easy to listen to in one sitting and I didn’t want to stop listening until the end. refreshing that prostitution isn't presented in its stereotypical form. This is an exciting series debut and I look forward to more in this series. Would you listen to Easy Innocence again? Why? Yes. I was very, very impressed, both the with the story itself, and with the quality narration performance. I thoroughly enjoyed the entire experience. In fact, I almost always do immersive reading since I love to sometimes skip ahead of the narrator, so I had both versions of this book. It was awesome!! Old family money, old family relationships, and old family power become intertwined in what Georgia suspects may be a massive coverup at all levels of legal, judicial, community leadership, and law enforcement in the town. As the investigation unfolds, it may be that this young man was in the wrong place at the wrong time. Georgia peals back each layer, going from murder, to teenage prostitution, to possible mob connections, and finally to illegal land development and government fraud. As the story unfolds, it becomes more and more obvious that Georgia is in very deep and even in fear of her life. All of the characters were wonderfully developed, the story was exciting and kept my interest from beginning to end. The story was so excellently written and performed, I purchased additional stories in this series with the same performer. Each moment when the next level of the story was uncovered and took you down the road until the next layer was exposed. Incredible complexity. This is an extremely talented author and I have not been disappointed with any of her stories. The narration is superb. 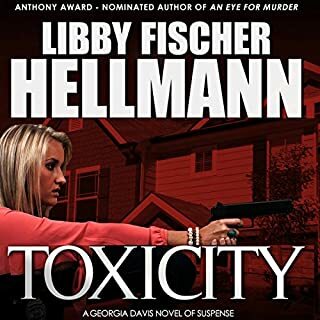 I've been a fan of Libby Fischer Hellmann for a long time but, although the print version of this book first came out in 2008, I had never read it or the following three books in the series. That wasn't because I didn't want to read it but I had focused on the author's other works with the idea of getting to this "one of these days". 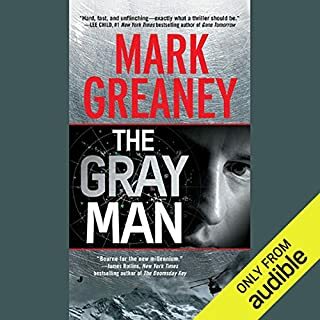 That day finally came when Ms. Hellmann offered a chance to listen to a re-do of the audiobook; I love audiobooks so I leaped at the opportunity. Georgia is a very likeable woman and an intelligent P.I. with a leg up from her police background. She doesn't have a lot of people in her life but those who surround her are good people who care what happens to her. There's nothing sleazy about Georgia and she approaches her tasks with a sense of honor and a desire to cause as little harm as possible. That's important because a lot of people could be very hurt by the results of her investigation, beginning with the ring of teenaged hookers and their oblivious families, not to mention their own airheaded ignorance of the dark side of their business venture. When Georgia learns of a possible fraudulent land development scheme, tying it to the prostitution ring ramps up the danger level to new highs including attempts on her own life. ....everything changed once certain things started happening and Ms. Richmond grabbed and held my attention. Certainly a lot of that is because Ms. Hellmann's story began to come to life but it's also because Ms. Richmond really is quite a good narrator, especially with her varying voices. When all is said and done, I'm now wanting to continue with the series and with Beth Richmond's narration. I loved this book. That being said I still don't think Georgia's personality is filled out enough. I still need a better feel for who she is. The story is one that has gotten attention. Teen prostitution run by other teens. The rest of the story is what makes this one unique. Georgia is a smart determined cookie. Not one to scare away or give up. That is the type of character I like. I think that's why I need more of her back story or more insight in to her personality. I will say this, remember this was written in 2008. While some of the 'teen' cultural references are off don't let that stop you from enjoying it. Ex: Friends was not on the air at that time. Narration was great & I would definitely listen to another book by this narrator. A well written, interesting, entertaining and enjoyable mystery/detective story. After being suspended from the police force Georgia Davis becomes a P.I. While investigating the subsequent arrest of the "obvious" suspect Georgia uncovers the tangled twisted lives of those closest to the murder victim. The story is constantly moving forward weaving through numerous twists and turns that keep you guessing. Love stories that have a strong independent woman. Great cast of interesting characters all around the good and the bad. If you like stories with a strong independent woman as the lead this book is worth your time. Beth Richmond did a great job with the narration. Pleasant voice, easy to listen to for long periods of time. Great character voices. Smooth even pace. Overall very enjoyable narrator. 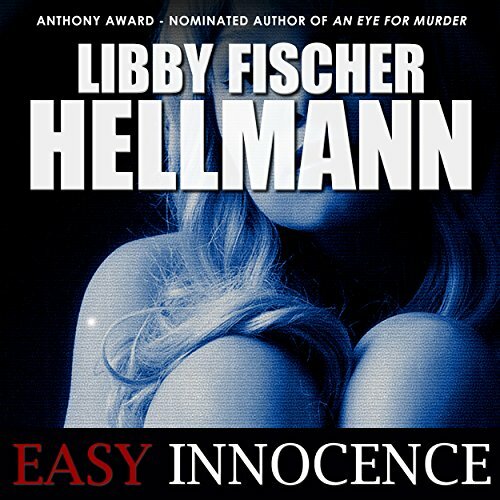 Where does Easy Innocence rank among all the audiobooks you’ve listened to so far? While I enjoyed the book and think I might like to try the second book in the Georgia Davis series it was geared more toward a women's audience. Lots of references to clothes and shoes for the affluent society. Getting around that the story was good and kept me interesed. What other book might you compare Easy Innocence to and why? I guess I could compare this to Sue Grafton's alphebet series. Kinsey and Georgia are both ex-cops turned PI in affluent cities. Both had trouble dealing with the bureaucracy and the attitude toward women officers in the police force and both work alone as PIs. I don't know if I had a favorite scene. The scene at the teenage pimps home with the mother and father with the gun threating his whole family was suspenseful. I don't think I had any extreme reactions to the book but the scene when the teenage prostitute abused was rough the way the main character handled it. Sure she got her help but just dumping her on her parents doorstep and leaving didn't leave me with a good feeling about Georgia. If you are going to do that then why not use her as a lever on the teenage pimp. A guilt trip at the very least. But that angle was totally abandoned. Overall I liked the book, it moved right along and was for the most part believable. The author made a couple leaps of faith to get the story to work but it is a novel and she isn't the first or last to do that. 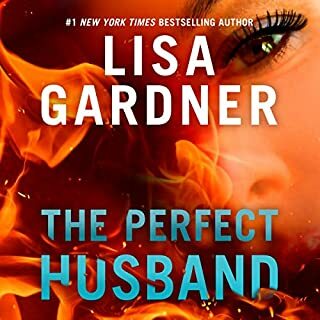 I sometimes have trouble with women narrators only because I have some hearing loss in the upper audio range but this one was good. Lost in Listening, while biting my nails! I absolutely loved this first book in the series! This book has it all, with so many questionable characters that keep you guessing and re-guessing. 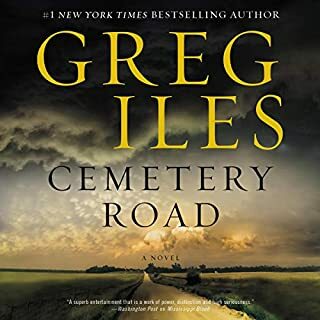 I couldn't stop listening to this audiobook, I looked like a wall staring zombie feeding on my nails! Libby Fischer Hellmann is amazing at writing a GREAT CRIME novel that keeps you hooked from start to finish. 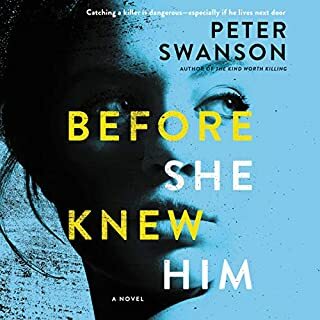 A huge part to a good audiobook is the narrator and Beth Richmond was perfect for this one. This is definitely a series I will continue to read as long as Libby keeps them coming! Yes, I enjoyed it a lot. Libby Fischer Hellman is a master of the female voice and doesn't have to fall back on any of the over-used devices that spoil too many female protagonists (excessively cute, sarcastic, or combative). Her characters rang true for me. Yes. Hellman slowly reveals the complexity of the mom character, who's not an especially nice person. And throughout the book, you know there'll be a twist. What does Beth Richmond bring to the story that you wouldn’t experience if you just read the book? Yes, she voices the teens well. She doesn't make them into cartoons. I liked that she included a vulnerable person who can't defend himself against unfair accusations. That made me root all the more for the heroine. Loved this book. The characters were believable and the story line gripping. Looking forward to the next one.